There you are, come on in — it's time for Field of view, the place where we round up all the latest happenings in the world of VR and AR. While things can often be a little slow in the run-up to Christmas, the talk of the VR and AR world this week was mysterious startup Magic Leap finally, finally revealing what it's been working on all these years behind closed doors. We've rounded up everything you need to know about Magic Leap, and highlighted what we still don't know about its upcoming goggles, the Magic Leap One. Elsewhere, we saw Pico unveil the Goblin VR headset and updated our list of the best HTC Vive games to play. But what else has been going on in the space over the past week? Well, put your VR headset down for five minutes and find out. Magic Leap's lips became a little less sealed this week, but not only did it reveal the Magic Leap One, it also showed off an interactive music experience - co-designed by the band Sigur Rós — to Pitchfork. The experience will be called Tónandi, and represents a Sigur Rós track with live elements that respond to the user's motion. The reveal is intriguing because, despite revealing the look of its goggles, we still don't know everything about how we'll be using them. However, at least through Tónandi, it seems users will be able to use hand gestures and see objects adapt around their environment. Even more interesting is the overall description of the app by Pitchfork reporter Marc Hogan, who essentially says that this is different to anything we've seen in VR or AR so far. It has a musical arc of its own, but it's not a "song" in any conventional sense. I can influence the sounds with my hands, but it's neither a musical instrument, requiring skill, nor a toy, effortlessly spouting out unmusical noise. I can maneuver through a visual environment looking for computer-generated interactions, but it doesn't feel like a game. Obviously, there's music and video, but this is not a music video either. The Tónandi experience is more like hiking or scuba-diving in your house while also being surrounded by supernatural beings." We've heard plenty of whispers about what Magic Leap has been working on for the last few years, and this is another example we've been gifted with this week. Expect the startup to reveal more of these kind of experiences closer to launch next year. Earlier this year, Facebook unveiled Spaces in a bid to add a VR element to its social network. And with the company being the owner of Oculus, the Oculus Rift was the first to receive the app. 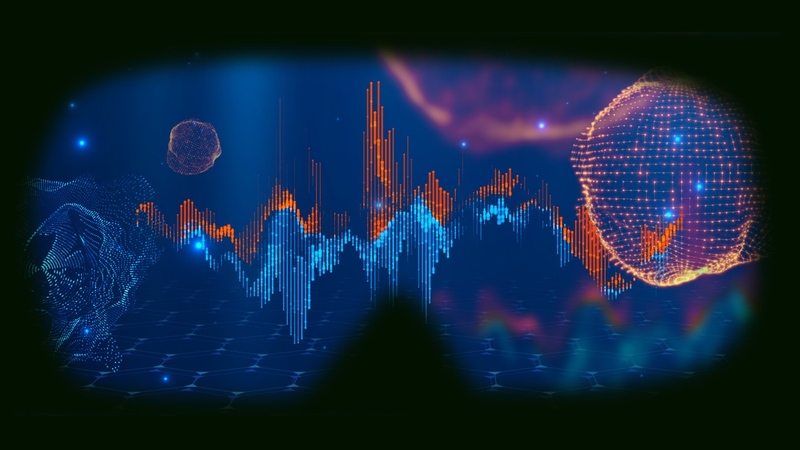 However, Spaces is set to branch out to rival platform Vive, as well as other VR headsets over the course of next year. As the company announced, the Vive version will be the same as the Rift equivalent, meaning you'll be able to create an avatar, broadcast live, chat to friends, play games and view videos. After initially announcing its intentions to bring its education services to the classroom earlier this year, MEL Science has revealed that it is now ready to bring VR chemistry lessons to schools in the UK. The 28 lessons currently available will be accessed through Google Daydream headsets and follow the standard school curriculum, with the Teacher Mode allowing teachers to convey concepts in a virtual lab. Student will be able to, for example, use the app to build their own atoms and study molecules in depth. Thinking of heading out with your friends to the cinema over the Christmas period? Hey, why bother, with Paramount and Bigscreen offering a movie in VR for the first time starting from 29 December. Users can meet up with chums in Bigscreen's virtual theatre lobby beforehand, with Top Gun chosen to be the first to get the 3D treatment. It will then be shown in regular intervals over the following 24 hours. The action is only available to those in the US for now, and will require a VR headset and a Windows 10 PC. Just when you thought Kobe's ridiculous bow-out couldn't get any better, you can now relive portions of his 60-point night and see the drama of the final few minutes unfold from your VR headset. The Lakers' legendary number 8/24 this week had both jerseys retired after stepping away from the game in April 2016, and the video above reveals a glimpse into Mamba's mentality on the big day. With much of the developed world in a trance due to the recent release of Star Wars: The Last Jedi, it would seem there's no better time to jump into your headset and take advantage of Star Wars: Droid Repair Bay, available now for Samsung Gear VR. The game essentially sees you work as a cog in the resistance's mission against the First Order, with your primary goal to tool around with the insides of various droids and get them ready for action again. Beware of serious FOMO levels, though, when you see the droids rush off back to battle while you're rooted - trapped, if you will - in the repair bay. After all, you're just a simple droid repairer; an afterthought in the grand scheme of the Star Wars universe. And that's all you'll ever be.